"If you want the best realtor in North GA, the answer is simple, choose Dana. She was extremely knowledgeable, caring, thoughtful and was able to help us navigate the buying experience! She truly cares about each client!" Dana is committed to doing an excellent job! "Dana O'Donoghue worked closely with us in selecting a riverfront home. She was a pleasure to work with, as she is honest and committed to doing an excellent job. She has had a lot of experience in evaluating homes and neighborhoods and has the ability to help choose the right circumstances for her clients." Dana is extremely responsive, detail oriented and the consummate professional. "We partnered with Dana O'Donoghue as our buyer's agent to find and purchase our dream vacation home in the north Georgia mountains. Dana's exceptional market insight and understanding of our objectives helped us present an offer and close on the perfect home in record time. Dana is extremely responsive, detail oriented and the consummate professional. With close to a 25 year heritage in her field, she is a fierce negotiator and genuinely represents her clients' best interests. Our turnkey experience was over-the-top and I will recommend having Dana by your side in this process to all of my friends and family. To say she is outstanding is an understatement!" Dana is professional, friendly and kind. "We were extremely lucky to have connected with Dana to assist us in looking for a second home in North Georgia. After leaving over a dozen emails and voicemails, Dana is THE ONLY ONE to return my message. She is extremely well versed in the local knowledge which was important to us as we had never visited the area. Bring something to write on when you are with Dana. You will be receiving a lot of important information!! Dana is professional, friendly and kind. She will not waste your time, because she truly listens to what you are interested in. She is a brilliant negotiator, keeping your needs first!! Dana has an incredible work ethic, returning calls and messages when most people are off work and relaxing. I feel I have met the best real estate professional, and a new friend!!" Give her a call...she will take care of the rest! "I am a real estate professional in Atlanta. I decided I wanted to purchase a cabin in the Ellijay/Blue Ridge area. After numerous calls to several "big name" realtors in the area and no one returning my calls, a friend reccommended me calling Dana, and I did. From the very start, Dana was on top of things like flies on a June Bug. I am an investor and was looking for investment properties in the area. Dana found me a short sale that was a great fixer upper deal...and then she found me another cabin for a vacation rental...also a good deal! Dana is very thorough and will find you what you are looking for. On top of all that, she is very friendly and a great person. Give her a call...she will take care of the rest!" "Dana has impressed me with her purchases in FL and GA. Knowledge of the markets and partnering with local craftspeople to make the best return on investment is her forte. Honesty, dependability and detail oriented work ethic is Dana's Moto." "Dana is more like a friend than a realtor. She was patient, we'll advised of each property we looked at well before our viewing. She was savvy in the negotiations stage. She was supportive through every step, she was responsive to every request, question or follow up, she even helped me navigate my sale of my home even though I had a realtor. She has checked back with me well after my purchase was completed to make sure I was happy and satisfied. She is the best. I wouldn't have any other in my corner ever!" "Dana is the best agent ever! She was very professional and knowledgeable. She sent daily new listings, and went out of her way to preview properties that she thought would be of interest to me. She was so honest - even when it meant taking away more commission from her. What realtor does that these days? Also, very patient during what some may call rough spots on the road during closing, but not one time did she ever seem frustrated. I will highly recommend Dana to all my family and friends! She is one of the most impressive Realtors I have ever been in contact with." Very Knowledgable of local market! "Dana was very knowledgable of the local market in Blue Ridge, GA. she was very efficient with no wasted time. Once we found the property, she was very helpful to give us the needed information to carry us through the closing. 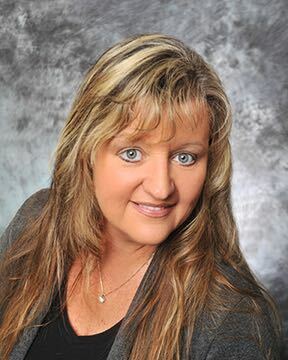 I would highly recommend Dana to anyone that has real estate needs." We recommend her services to anyone without the slightest hesitation! "Dana became an integral part of our family's process of buying a new home. Her warm, thoughtful approach made it possible for us to dream, plan and now enjoy our new property. Dana was insightful as we navigated varying issues. Dana was extremely quick to assist us in finding solutions to any challenges we encountered. Most of all, Dana was fun and enjoyable and made each part of our buying process so very nice. We would use her again and recommend her services to anyone without the slightest hesitation!" Dana is the consummate professional. "Dana is the consummate professional. She acted as a buyer's agent for our home purchase and we could not have asked for better service. She has many years of experience which have taught her much and she puts it to use on her clients' behalf. I was regularly impressed by the amount of knowledge she had in every aspect of the process and how she was able to educate us. She is very thorough, organized and impressively responsive. She was always a step ahead, keeping us informed along the way. Her advice in negotiating the purchase was spot on. Beyond that, she is very knowledgeable about the local area, regularly sending us e-mails with information on local happenings." "Dana has been incredibly dependable and helpful. When I decided to put my house on the market i expected it to take a few months to sell. It sold in hours which left me in a bind to find a new home. Dana worked very hard to help us find a beautiful new place to live and a great people to help with the financing...fast. I have already recommended her to friends." "Dana is definitely in the right business. She's responsive, she provides suggested properties based on the want list, she has looked at numerous properties with us and for us. Dana is absolutely amazing and is highly recommended!"